Micromax, an Indian consumer electronics company, based in Kolkata, West Bengal, India, was involved in manufacturing of mobile phones, tablet computers, 3G Datacards and LED Televisions. Its product portfolio included more than 60 models. As of 2013, the company had made its presence pan-India as well as globally including nations like Brazil, Saudi Arabia, and the UAE. This caselet enables an analysis about the process performance during piloting operations at Micromax, an Indian consumer electronics company in Kolkata, West Bengal, India. This caselet can be used for teaching the concepts of descriptive statistics. The caselet provides a brief about Micromax and its pilot mobile handset manufacturing in India. The caselet enables a discussion and understanding of descriptive statistics. I. Analyze the process performance of Micromax while the company tested its piloting operations. 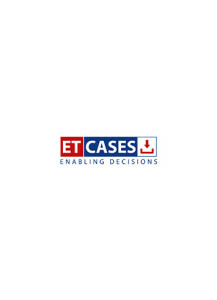 The caselet enables a discussion on the process performance during the piloting operations at Micromax, an Indian consumer electronics company in Kolkata, West Bengal, India. This caselet can be used for teaching the concepts of descriptive statistics. The caselet provides a brief about Micromax and its pilot mobile handset manufacturing in India. The caselet provides scope for understanding of descriptive statistics and analyzes the process performance of pilot manufacturing at Micromax.